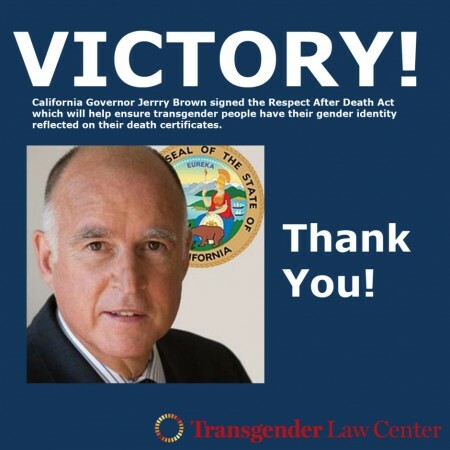 (Sacramento) Today, California’s Respect After Death Act (AB 1577) was signed by Governor Brown, having passed in both the Assembly and Senate earlier this year. The long-awaited bill will provide needed guidance to help ensure that transgender people have their gender identity reflected on their death certificates. It was authored by Speaker of the Assembly Toni Atkins and co-sponsored by Equality California and Transgender Law Center. AB 1577 requires the official responsible for completing a transgender person’s death certificate to do so in a manner that reflects the person’s gender identity if they are presented appropriate documentation, such as written instructions from the deceased person confirming their wishes, an updated birth certificate or driver’s license, or evidence of medical treatment for gender transition. In the absence of these documents, the gender reported by the person’s legal next of kin would be used. Drafted at the beginning of this year, the bill drew inspiration from the passing of Christopher Lee, a San Francisco artist and transgender advocate who was misgendered after his death in 2012. The bill was passed by the Assembly Health Committee in March, and passed by the Senate in August. Transgender Law Center congratulates everyone who has helped advocate for this important step! An influential national institute has prescribed a powerful cure for America’s approach to dying, saying that today’s health care system is ill-equipped to provide the comfort and care so cherished in our final days. The long-awaited report released Wednesday by the Institute of Medicine recommends that regular end-of-life conversations become part of patients’ primary care, starting at age 18 and that doctors should be paid for time spent on these discussions — a controversial initiative eliminated from President Barack Obama’s health care law. A medical bill, family photographs and belongings of Lisa Krieger’s late father Kenneth Harris Krieger. The report reflects the growing concern over the dizzying array of high-tech interventions to emerge in recent years that prolong futile suffering, often at great emotional, physical and financial cost. Those interventions were the subject of this newspaper’s yearlong series “Cost of Dying.” To correct the current, misguided course, Medicare should boost coverage for home health services, not just high-tech hospital care, the report urges. And more doctors must be trained and licensed in end-of-life care, through changes in universities, state medical boards and accrediting agencies, it adds. “Even though death is very much part of the cycle of life, thinking and talking about one’s own death usually remains in the background,” said Dr. Philip Pizzo, former dean of Stanford University’s School of Medicine and a co-chairman of the report. The 21-member committee, which included experts in law and medicine, devoted two years to studying federal policy, financing and hospital practices. Recommendations of the institute, a private, nonprofit arm of the National Academy of Sciences in Washington, D.C., often make their way into U.S. laws and federal agency policies. The “Dying in America” report recommends that federal and state governments and private insurers create financial incentives for patients and clinicians to discuss end-of-life matters, document patient preferences, and provide appropriate services and care. The report authors also suggest having initial conversations about end-of-life values, guided by a physician, at milestones of life, such as getting a driver’s license, turning 18, leaving home or marrying. Additional planning should occur for those in high-risk occupations, at the onset of chronic illness and when applying for Medicare. “There is unnecessary and gratuitous suffering all over the place,” said Dr. BJ Miller, executive director at San Francisco’s Zen Hospice, who was not involved in the report. “But when the Institute of Medicine says something, people listen — at all levels,” said Miller, an assistant clinical professor of medicine at UCSF. “The timing of the report is exquisite, especially as the population of multiethnic older Americans is now exploding into a ‘silver-brown tsunami,’ ” said Dr. VJ Periyakoil, director of Palliative Care Education & Training at Stanford’s School of Medicine. The 507-page report mirrors findings of this newspaper’s Cost of Dying series — posted at www.mercurynews.com/cost-of-dying. The series concluded with a story that prescribed ways to make end-of-life care more affordable and humane and led to community meetings throughout the Bay Area. Data show that patients subjected to ineffective and burdensome high-tech treatments do not necessarily live a quality life longer — but instead suffer a prolonged dying. Such care is expensive and physically and emotionally hard on patients and their families. But political controversy — and a human tendency to avoid thoughts of one’s own death — have derailed discussion of a profoundly important subject. A 2009 provision of the Affordable Care Act to pay doctors for end-of-life counseling was labeled a “death panel” and never found its way into the law. A second attempt to authorize payment also was shelved. The fee-for-service structure of the health care system is also to blame, the report concludes. “Perverse financial incentives” reward expensive high-tech and hospital procedures, rather than conversations, home health care and pain management. The report was funded by a $1.5 million gift from an anonymous donor — who has also offered to fund a yearlong public education campaign. The Institute of Medicine makes five recommendations to lessen suffering at the end of life. 1. Cover comprehensive care for people with advanced serious illness nearing the end of life. 2. 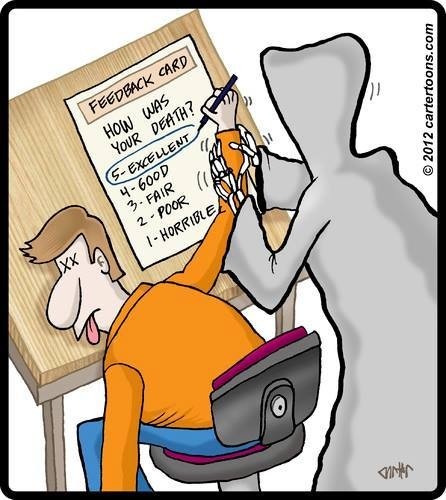 Develop concrete standards for doctors and patients to discuss and plan end of life care. 3. Set training, certification and license requirements to strengthen the knowledge and skills of all doctors who care for ill people nearing the end of life. 4. Integrate the financing of medical and social services to support quality care consistent with the values, goals and informed preferences of such people. 5. Widely provide fact-based information to encourage planning for the end of life and making informed choices. Earlier this year, Gary Spivack and his sister Betsy Goodkin lost their mother to cancer. Between her first diagnosis and her death in April, her children say, their mother was determined to overcome her illness. 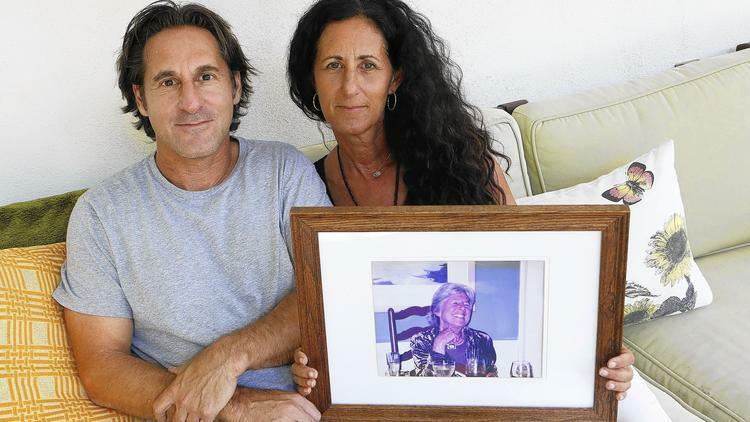 “She was a very stubborn and proud person who fought this and had a lot of support from immediate family and a lot of friends,” says Spivack, 49, a music industry executive who lives in Pacific Palisades. “She was going to live out her final minutes as healthy and fighting it as much as she could,” adds Goodkin, 51, who describes herself as a “full-time mom” in the Cheviot Hills neighborhood of Los Angeles. But even as their mother fought to stay alive and healthy, her children say, she made her end-of-life wishes known: If death was imminent, she wanted no heroic measures taken to save her life. And she insisted on dying at home. They said their mother passed away April 13 in just the manner she had hoped: She was in her own bedroom with the lights low and the mood peaceful. She held hands with loved ones as she passed. Dr. Neil Wenger, director of the UCLA Health Ethics Center, said most patients would prefer to die that way, but few actually do. That’s because they fail to put their final request in writing, he says. 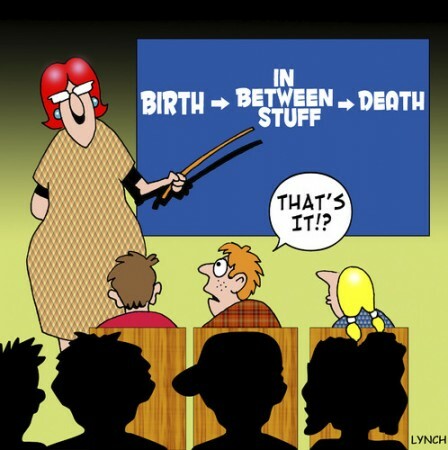 Why the gap between what people say they want at the end of their lives and what actually happens? There are many reasons. A recent study published in the American Journal of Preventive Medicine found that lack of awareness is the most common reason people cite for not having written instructions prepared in advance. Doctors also avoid such talks. Some physicians incorrectly believe patients don’t want to discuss death. Others pass the buck, believing it’s some other doctor’s responsibility to have the discussion. These talks take time and can be emotional. “Doctors are human and they bring to the table a lot of their own emotions about death and dying, and these can be very difficult conversations to have,” said Dr. Glenn Braunstein, vice president of clinical innovation at Cedars-Sinai Medical Center. A report out last week by the Institute of Medicine stated that medical and nursing education fails to orient healthcare providers toward less aggressive forms of end-of-life care, and many providers simply lack the communication skills needed to have these conversations. Also, the report noted, providers are still largely paid to deliver more services, rather than fewer — even when treatment is futile. Experts offer recommendations for putting end-of-life plans in place and what needs to be considered. Open up the lines of communication. Frequent conversations about end-of-life goals between doctors and patients are essential if unwanted treatment is to be avoided, experts say. “When people fail to plan for the worst, often they find themselves in a struggle to avoid an imminent and inevitable death that ends up causing an enormous amount of suffering for them and for their family members,” Coombs Lee says. “Anyone with a life-threatening disease should know their options and the efficacy rate of any treatment they are offered,” she says. Insist on shared decision-making. End-of-life conversations should be part of shared decision-making between a patient and his or her doctor, Braunstein says. “You take into account the patient’s preferences, their spirituality and a variety of things. 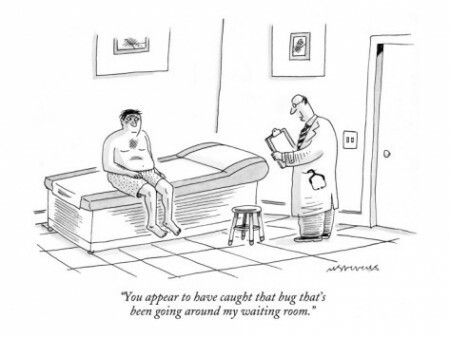 At the same time the physician should be giving honest information about what the prognosis is, what we can do and what we can’t do,” he says. 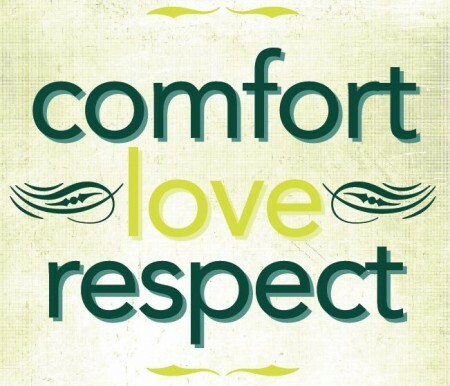 Talk about comfort care: Conversations should include discussions about your various treatment options, including palliative care, which emphasizes a patient’s physical and emotional comfort. Braunstein said palliative care should start well before a patient is terminally ill.
Also important is to talk about hospice care — treatment when you are no longer attempting to prolong your life but rather focusing on staying comfortable and managing pain in your final days. “We think of hospice care delivered in the home as the gold standard,” Coombs Lee says. Research suggests that people who receive palliative and hospice care may live longer than ill patients who don’t. Select an agent. It’s a good idea to name someone such as a family member or close friend to serve as your healthcare agent. This should be the person you most trust to represent your best interests and who will make sure your wishes are respected and carried out. Your agent can’t be your doctor or other healthcare providers treating you. Establish an advance care directive. These directives for your last days are legal documents. They allow patients to state their treatment wishes and appoint someone to make medical decisions on their behalf. They should spell out what you want to have happen and what you don’t. They must be signed by two witnesses — not your doctor or the person you name as your healthcare agent. Alternatively, you can have the document notarized. A copy should be given to your healthcare agent, other family members or friends, and to your doctor. Ask that it be included as part of your medical record. Get your doctor’s orders in writing. A Physician Orders for Life-Sustaining Treatment is a frequently used document to be signed by both the physician and the patient. It generally is filled out when a person’s anticipated life span is six months or less and is put in a prominent place where caregivers and paramedics can see it. “The document is pink so it stands out, and we tell people to put it on their refrigerator or where they’re sitting downstairs,” Braunstein says. Goodkin of Cheviot Hills says she learned a lot from her mother’s passing in April, namely about how to die on your own terms. West Palm Beach, Fla. — Americans suffer needless discomfort and undergo unwanted and costly care as they die, in part because of a medical system ruled by “perverse incentives” for aggressive care and not enough conversation about what people want, according to a report released Wednesday. Although people repeatedly stress a desire to die at home, free from pain, the opposite often happens, the Institute of Medicine found in its “Dying in America” report. Most people do not document their wishes on end-of-life care and even those who do face a medical system poorly suited to give them the death they want, the authors found. The result is breathing and feeding tubes, powerful drugs and other treatment that often fails to extend life and can make the final days more unpleasant. The report blamed a fee-for-service medical system in which “perverse incentives” exist for doctors and hospitals to choose the most aggressive care, inadequate training for those caring for the dying, and physicians who default to lifesaving treatment because they worry about liability. Recommendations of the institute, a private nonprofit arm of the National Academy of Sciences, often make their way into U.S. laws and federal agency policies. “It’s not an intentional thing. It’s a systemic problem,” said David Walker, the former U.S. comptroller general, who co-chaired the committee of 21 experts that issued the 500-page report. Advance directives including living wills have been unpopular and ineffective, the report says. It urges repeated conversations about patients’ wishes beginning far earlier than many would think — perhaps as teenagers — and continuing the talks throughout life. “The fee-for-service model, the lack of coordination between medical and social services, the challenges that individuals face in finding a provider who’s willing and knowledgeable to speak with them about death and dying all conspire against them coming up with the right individual plan,” said Philip Pizzo, a doctor who was co-chair with Walker. The report praised programs in palliative care, which focuses on treating pain, minimizing side effects, coordinating care among doctors and ensuring that concerns of patients and their families are addressed. This type of care has expanded rapidly in the past several decades and is now found in a majority of U.S. hospitals, but the report says many physicians have no training in it. “This report is relevant to persons who are seriously ill, their parents, children, extended families which essentially means every American,” said VJ Periyakoil, director of Palliative Care Education and Training at Stanford University’s School of Medicine, who was not involved in the report. In many ways, the report is a repudiation of the controversy created by the term “death panel” in response to President Barack Obama’s health care law. The claim centered on the government saving money by deciding who would live and who would die. The controversial proposal never found its way into the law, the 2010 Affordable Care Act. In fact, the report says the very type of end-of-life care Americans say they want would shrink medical bills and reduce the governmental burden. Blumenauer has sponsored a bill to allow Medicare to pay doctors for having end-of-life conversations with patients. That is the very idea that set off the “death panel” fury, which generated the most widespread and high-profile conversations on end-of-life care in the United States since the case of Terri Schiavo, a brain-damaged Florida woman who became the center of a protracted court fight over having her feeding tube removed. It’s sort of a pot rush, even if the type of weed that will soon be spreading across the state supposedly doesn’t get users high. The Department of Health’s Office of Compassionate Use this week hurriedly published a revised rule governing everything from stems and seeds to serving the substance to sick kids. 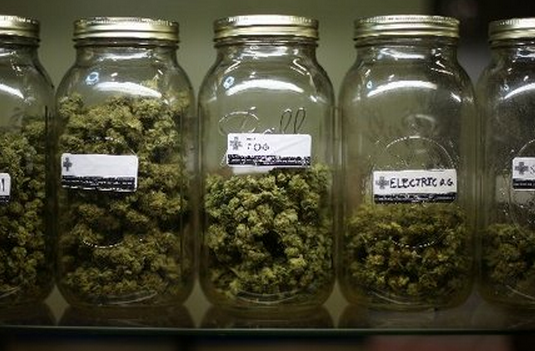 The latest version of the rule included tweaks to who can own the five “dispensing organizations” that will eventually get licensed by the state to grow, process and distribute newly-authorized strains of cannabis. The Legislature, in approving a pot law this spring, required each applicant to have a valid registration from the Department of Agriculture and Consumer Services to cultivate more than 400,000 plants, be operated by a nurseryman as defined by state law and have operated as a registered nursery in the state for at least 30 continuous years. At least 60 nurseries meet the criteria. A preliminary rule floated by health regulators would have allowed nurseries to have just 25 percent ownership in the entities applying for a license. That option drew a rebuke from the Legislature’s Joint Administrative Procedures Committee, which helps oversee state regulations. The original proposal also neglected to specifically address whether the nursery would be required to have a continued role in running the pot operation. Under Tuesday’s revised proposal, a nurseryman would have to “serve as the operator,” alleviating some concerns that growers would have little or nothing to do with the grow operation despite lawmakers’ intention that the nascent pot business be controlled by companies with a long agricultural history in Florida. The proposal would require a nursery to have at least 25 percent ownership of the organization that gets a license, but also would offer another alternative that would allow “100 percent of the owners of a nursery” to fulfill that 25 percent requirement. That ownership change appears aimed at appeasing some nursery owners who expressed concerns about financing the marijuana operations. Because pot is still illegal under federal law, nearly all banks are refusing to lend money to marijuana-related businesses. Converting other areas of operations into cash-only business could pose major problems for growers interested in participating in the medical marijuana start-ups, a lawyer for Costa Farms told the Department of Health at a day-long public hearing last week. With Scott’s blessing, lawmakers this spring legalized marijuana that contains .8 percent or less of euphoria-inducing tetrahydrocannabinol, or THC, and more than 10 percent cannabidiol, or CBD. Supporters believe the compound, which hasn’t been approved by the feds, can eliminate or drastically reduce life-threatening seizures in children with severe forms of epilepsy. Under the law, doctors can also order the low-THC, high-CBD substance — usually delivered in paste or oil forms — for patients with other spastic disorders or cancer, as long as they have exhausted all other treatments. Many GOP lawmakers jumped on the “doesn’t get you high” pot bandwagon this spring hoping to thwart Amendment 2, a proposed constitutional change that would legalize “traditional” medical marijuana. While the state moves toward getting the low-THC, high-CBD regulatory framework in place by Jan. 1, the battle over Amendment 2 — bankrolled heavily by Orlando trial lawyer and Democratic fundraiser John Morgan — is starting to smoke. The “Vote No on 2” campaign recently nailed down the backing of seven former Florida Supreme Court justices, who joined associations representing Florida sheriffs and police chiefs in opposition. And the amendment’s foes are planning to spend $1.6 million on television ads, slated to start running in October, condemning the proposal. Like all constitutional proposals, at least 60 percent of the voters must approve the amendment for it to pass. “We want every voter to know the dangers of this amendment and that it is not about the sick, it is about legalizing pot for anyone and for any reason,” spokeswoman Sarah Bascom said. Polls have shown widespread support for legalizing medical marijuana, but that support is expected to drop in the wake of a full-frontal attack. Las Vegas casino magnate Sheldon Adelson has pledged to double the $2.5 million he’s already dropped on the Drug Free Florida political committee, launched by Tampa Bay developer Mel Sembler. Both are mega-GOP money men.